I remember sitting at the computer when it first occurred to me that I might be pregnant. It was late morning, and my stomach felt different than usual. To this day, I believe it was in this exact moment that my daughter was already inspiring me to make different choices. Like most first time moms, I reevaluated just about everything over those next nine months– from what I should or shouldn’t eat to reading through all the information on topics like natural versus unnatural childbirth, cloth diapers or disposable, breast or bottle? With a degree and career in journalism, one question led to another, and I was all in… totally consumed. What? There’s BPA in baby bottles? There’s lead in toys? Baby wipes and baby soap contain toxic chemicals? I could only wonder ‘Why aren’t baby manufacturers being more responsible?’ Preparing for my daughter’s birth was one experience. After going through childbirth and then actually holding my beautiful baby girl in my arms, my concerns naturally became a whole lot stronger. Prior to motherhood, my career had always been important to me. For years, I worked ‘behind the scenes’ in the TV news industry, covering some of the biggest stories in history. At the time of my daughter’s birth, I was managing a team of publicists for a PR agency that represented authors and inventors of every kind. Work had always brought me a sense of independence and accomplishment. I thrived on the excitement of covering or landing a big story for a client, and I enjoyed the adrenaline rush associated with being overly busy. Seven weeks after my daughter’s birth, I returned to work. For the first time in my life I was exhausted and felt overwhelmed by the dual workloads—the one at home and in the office. Four months into it, my husband and I decided that I would leave my job and take some time to recoup and then do freelance PR work on a part-time basis. That idea didn’t last long. When my daughter was seven months old she got a fever. The doctor said to give her infant Tylenol. I knew within those next few hours that something else was very wrong. Her behavior was more erratic than usual. It was bedtime. She was wide awake. My husband and I tried everything we knew to calm her down and get her to sleep. She finally did in the middle of the night. We discovered that the Tylenol contained artificial red dye (also known as Red40), and that was the culprit. It caused her to become hyperactive almost immediately after ingesting it. A baby shampoo change or two later, we discovered that a preservative known as sodium benzoate had the same negative effect. These were just two instances among many more that we went through. That’s when my journey into the world of environmentally responsible and healthier lifestyle public relations began. My daughter’s extreme sensitivities led me on a new quest to sort through all the green noise and false claims in the marketplace. I started researching everything from organic farming to seeking out more information on individual ingredients found on product labels. A friend introduced me to a marketing executive who had experience working with environmental non-profits and more sustainably, healthier-minded businesses. As we talked, we realized we shared a common passion and decided to pool our talent and experience. Within just a month of our first meeting, we began helping small to mid-size companies gain awareness in their markets by creating buzz in the media about their ‘real deal’ socially and environmentally responsible products and services. We began working with mom product companies that ranged from compostable baby wipes to organic cotton pajamas for children, and then we expanded our clientele to include sustainable jewelry designers, solar companies, alternative plastic innovators, and natural health and food companies. This Mother’s Day my daughter is seven years old. It’s now been almost that long since this new career journey began. Did I make the right choice to be a working mom? I hope so. Do I know for sure? No. But, here’s what I do know: Being a mother is by far the most exhausting and rewarding job, whether you work OR stay at home. My love for my daughter has truly inspired me to be a better person in life and business. I wake up every morning knowing that in some small way, I’m contributing to a stronger economy and a healthier planet. My work causes people to read or watch stories featuring the companies and products I work with. Every day I learn something new that makes me more environmentally aware than when I began. I believe the knowledge gained from this experience has also made me a better parent. My daughter is happy, healthy, and thriving in school. Besides her love for dancing and singing at the top of her lungs, she knows about recycling, artificial colors and preservatives and nasty chemicals. She knows about wind turbines and solar panels, and that we have to turn off the water when it’s not being used. She knows that she can’t use certain shampoos or eat certain foods. She doesn’t understand why companies put artificial ingredients in products if they’re bad for kids like her. She asks me this question a lot. The truth is, I can’t answer this question either. I just give her hope that one day this will no longer be an issue any child or parent has to worry about. I don’t know what will happen next week or next year or even 10 years from now, but I do know one thing with all my heart. Whether I have to take a work call occasionally when she’s with me or I have to finish a last minute email before I can devote my entire attention to hear her story, my daughter loves me as much as I love her. For that one reason alone, the choice I made feels like it was the right decision for me and our family. 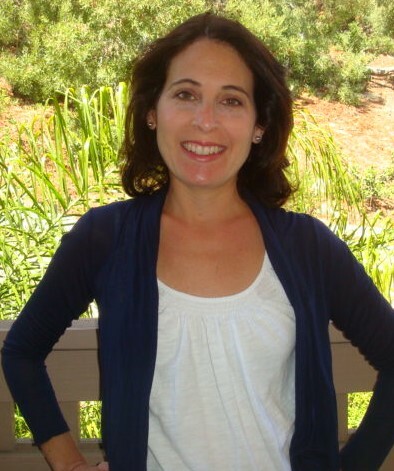 Melanie Frenkel is the co-founder of Signature Green PR & Marketing. More information can be found at www.signaturegreen.com.